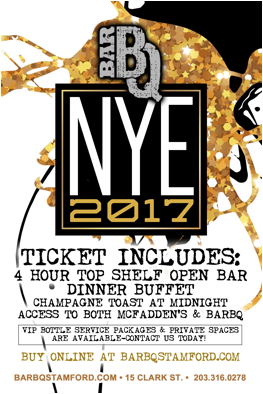 Home Events The Scoop: Fairfield County Foodie Events for NYE 2017! 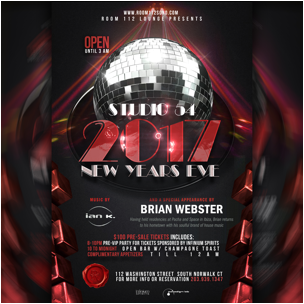 If you’re looking for somewhere to go on New Year’s Eve, here’s a quick rundown of what’s happening in Fairfield County! Oh, and in case you’re wondering what’s in store for you. 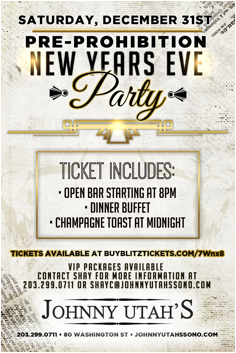 . .
VIP-bottle service packages and private spaces available. o Signature bourbon bacon; house or Caesar salad; choice of “some like it hot” mac and cheese, “bourbon bacon” mac and cheese, the Queen B burger, the Stinger or the Garden of B-den; chocolate covered bacon and fried bacon covered Oreos.